Description:It promises a fantastic future in which humans overcome disease, aging, and even death. It just requires us to take the final step and merge fully with machines. But it’s secret past in crypto-eugenics reveals a darker future, one in which a GenRich elite rule over the GenPoor masses. Are you ready to give up your humanity? Description: Alex Jones interviews Webster Tarpley about the disastrous bailout proposal announced by the US Treasury last week. Description: Thank you to the anonymous listener who took it upon himself to spread the word about this information. Description: First clip from medley of YouTube users who subscribe to transhumanism. Description: Second clip from above-mentioned medley. Description: Third clip from above-mentioned medley. Description: Website for the international nonprofit group advocating better minds, better bodies and better lives…by merging with machines. Description: Declaration defining and outlining transhumanism from the World Transhumanist Association. Description: Essay in which the term transhumanism is coined…and its underlying eugenicist aspirations are revealed. Description: Founding document of UNESCO written by Julian Huxley that talks about the need to make eugenics socially acceptable once again. Description: WWF founders include eugenicists. Description: Audio of Huxley’s speech at Berkeley in 1962. Description: YouTube deconstruction of the Building Gods documentary and the ideas of transhumanists. Description: Some people think this is a good thing. Description: Article that argues a world of GenRich and GenPoor is not a good thing. Documentation – Implanted chips in our troops? Description: Alex Jones talks about 2005 story in which TiVo wants customers implanted with chips to watch TV. Description: 2005 article on TiVo and RFID which Alex Jones referred to. Description: Excellent article that details exactlly how implanted microchips will be sold to the public…step by step. Description: A solicitation for research proposals that include some interesting ideas about constructing predictive mathematical models of the human brain. Description: Document from the Defense Sciences Office on DARPA’s attempts to merge human minds with machines. Description: Disturbing article about proposed future ‘upgrades’ to schoolchildren in England. Description: Home page of researcher and radio host Alan Watt. 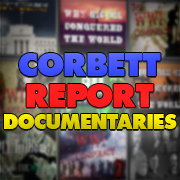 Go here to download all previous episodes and talks by Alan Watt. Description: Download the audio of this episode of Cutting Through the Matrix. Description: An excellent article detailing how eugenics ties in with transhumanism and other modern forms of crypto-eugenics. you sound pretty robotic in this episode. btw. 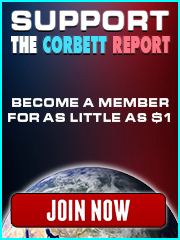 is this ep.,sort of, an answer to why the corbett report logo is in trans-flag colors? if you could give a more direct answer to this question, for all the viewers and on camera, that would be awesome.